Calling all artists! 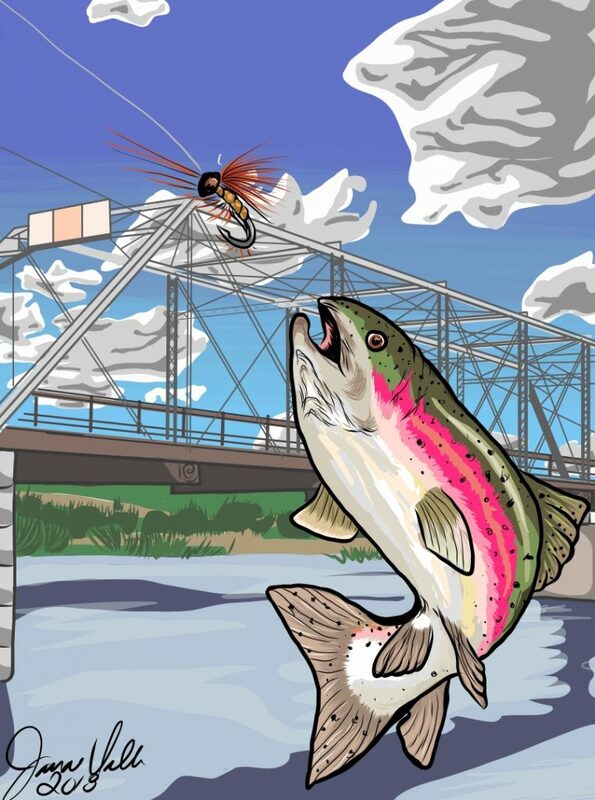 The Annual Craig Caddis Festival Poster Art Contest is Live! Get those paintbrushes out and create some art of the annual Caddis Fest ’19 Poster Art Contest. The 2018 Winner Janae Valle from Helena with her winning piece above! Thanks Janae! Can’t wait to see your submission this year! Taking art submissions until March 1st. Send to mark@headhuntersflyshop.com and/or lynn@lynnkenyon.com. Got a few in the bag already with some great art from local painters. It could be anything really. Base your art around a caddis fly, the spring fest, fishing, water, kids…you are in control of your piece. The Caddis Committee will vote on it March 2nd and get it out to the public representing the Caddis Festival 2019. Then we will auction your art piece at the live auction and split the proceeds with the Craig Volunteer Fire Department. Last year the art sold for about $1000 at auction. The artist takes half and the fire department gets half. A win-win deal there for sure. Email Mark with any questions. We look forward to seeing some cool stuff from you folks! Below is a submission from Carroll Jenkins.